Swansea City are the not the most visually exposed club in the Premier League and therefore nor are their shirt sponsors GWFX, but every club has its moments. 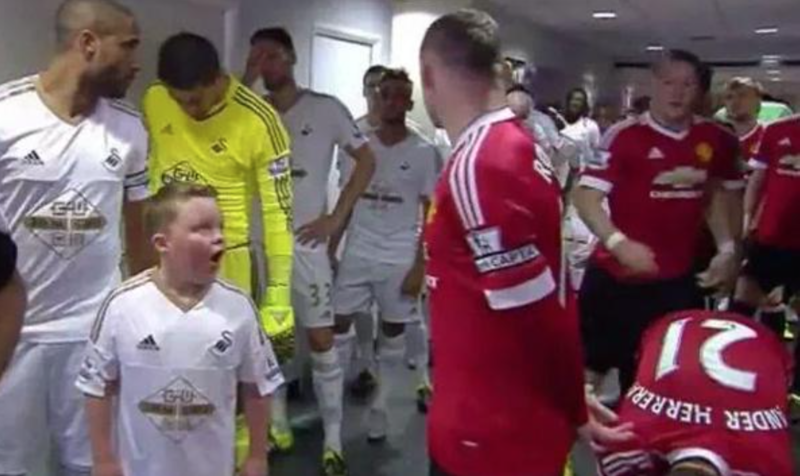 The image, as shown above, went partially viral last weekend because of the apparent shock on the Swans mascot’s face, at seeing an English playing hero so close in the flesh. That player being the ever popular Wayne Rooney. Because we track social media brand exposure by analysing pixels not tags we were able get the full extend of the coverage that Swansea and GWFX got from this image. Most of the social media posts were not tagged with anything that the club or sponsor would have picked up using tags as a search mechanism. If GWFX had been tracking this image using #swans or any other related tag they would be looking at an impression count 397,531 shy of what we know it was. It just goes show how using deep learning technologies and tracking images by looking for logos in pixels gives a far more accurate view of a brands exposure on social media than using tags. Analysing pixels is the only way to get an absolute true engagement count for a brand. Is your brand missing out on knowing the true level of exposure it’s really getting? Contact russell@snaprapid.com if your brand is falling short.